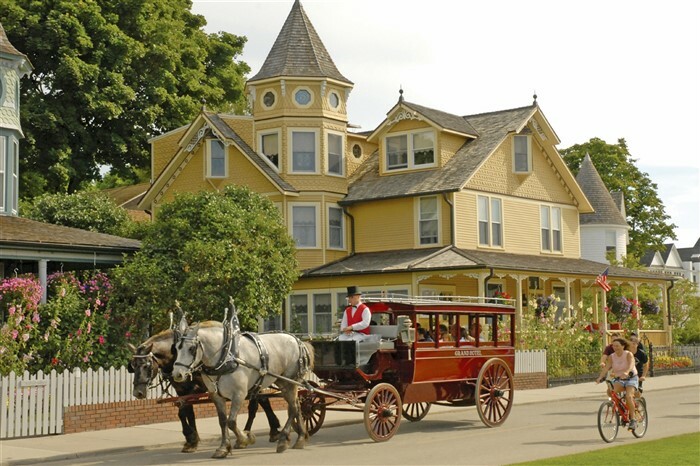 Join us on a four-day getaway that steps back in time to a bygone era of old-world hospitality and charm, where life moves at the pace of a horse-drawn carriage and we relax at one of the most spectacular hotels in the country. 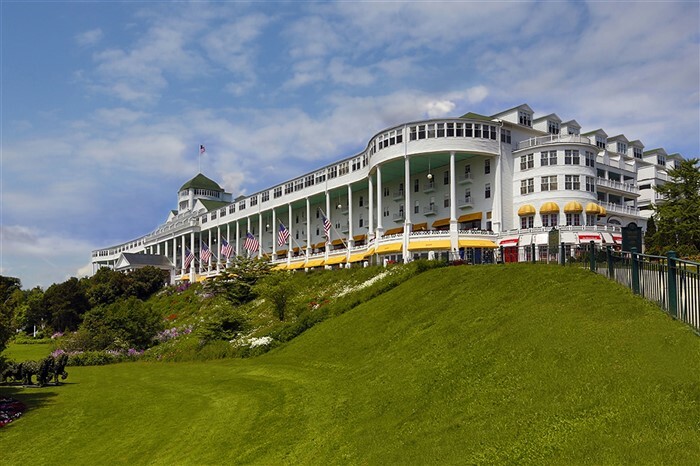 Experience old fashioned charm at the historic Grand Hotel in Mackinac Island, featuring two nights at this spectacular hotel. 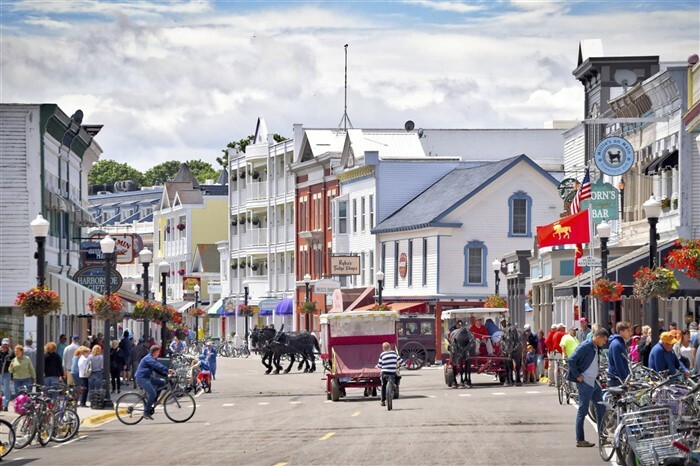 This getaway also features sightseeing in Frankenmuth, a visit to Bronner's Christmas Wonderland, a horse and carriage tour of Mackinac Island, two elegant dinners at the Grand Hotel, and plenty of time to explore the picturesque island. We gather this morning and soon arrive in the charming Bavarian town of Frankenmuth. We visit Bronner’s Christmas Wonderland, an enormous store that’s filled to the brim with everything Christmas. We arrive in Mackinaw City in time for lunch, before we board a short ferry for the trip over to Mackinac Island. This island has a personality all its own, and feels a million miles away from the mainland. With no cars allowed on the island, people get around by horse and carriage and bicycle. The smell of sweet, fresh fudge wafting from the Main Street storefronts greets us as we disembark the ferry, and we are taken to the island’s most iconic landmark, the Grand Hotel. 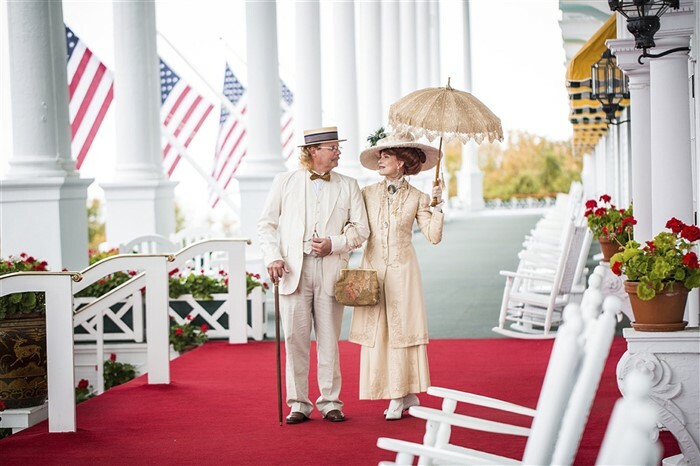 Steeped in tradition, this hotel has overlooked the Straits of Mackinac since 1887, boasting the longest porch in the world and the pinnacle of old-world hospitality. An elegant dinner is included this evening. After an in included full breakfast, a horse-drawn carriage takes us on a tour of the town. 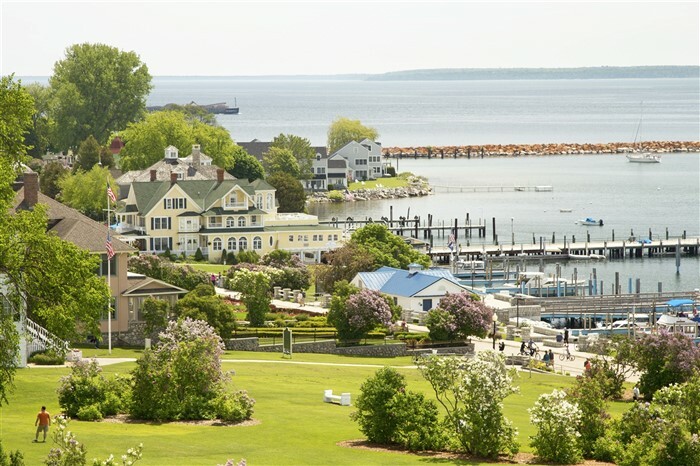 Spend the rest of the day exploring the picturesque town, immerse yourself in history at Fort Mackinac State Park, or relax and watch the scenery from a rocking chair on the Grand Hotel’s porch. Dinner is included again this evening, and is always a fancy affair. Dress up and dance to the orchestra as we enjoy our spectacular surroundings. We return to the mainland this morning, where our coach meets us for the return drive home.